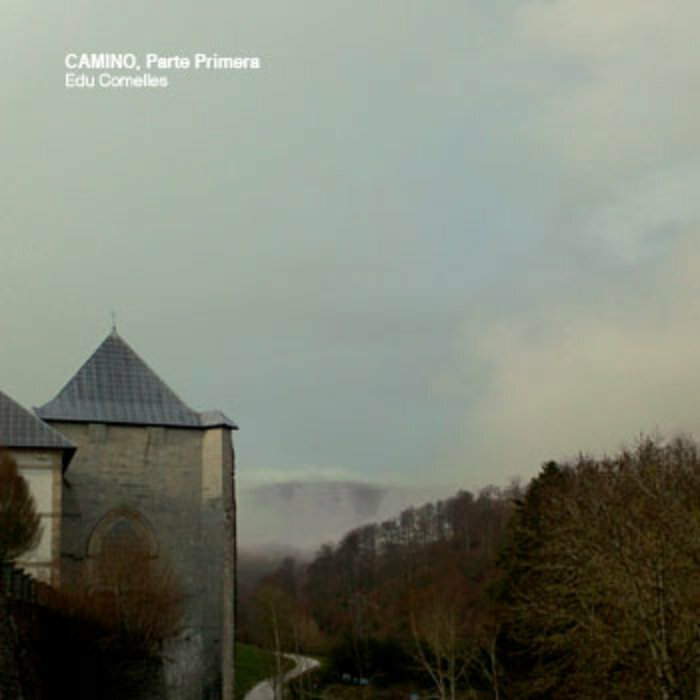 Camino, Parte Primera is the first part of a full length project based on recordings done along the Way of Saint James, a famous Middle Ages pilgrimage route along the northern regions of Spain. The whole route runs over 740 km and it takes approximately one month to complete it by walking. On this first instalment we walked for 6 days between the traditional beginning of the pilgrimage at Roncesvalles on the Navarre Pyrenees until Logroño the capital of the La Rioja Region. This route goes across Navarre and lengths 137 km. This first walk was made during Easter time, while in many towns and villages celebrations of the Death of Christ take place every year. The recordings and compositions were made on route trying to gather sounds and soundmarks from every step in the way. Those recordings were captured using a Zoom H2 handy recorder with a Rycote Windshield. Mixing and post-production was delivered using Logic Pro. The final mix and master was made in Valencia (Spain). This album is dedicated to Eva and Sandra, who walked with me. All tracks recorded composed and arranged by Edu Comelles on the Way of Saint James between Roncesvalles (Navarra) until Logroño (La Rioja). Edited and Mastered at Valencia. 2013. Originally released in digital format (MP3-File) By Wandering Ear Netlabel, based on Minesotta, USA. Perhaps no other pilgrimage route stirs the restless traveller’s spirit more than El Camino de Santiago, the Way of St James. Walking for weeks, sometimes months, pilgrims historically travelled 800 kilometres from the French side of the Pyrenees to Santiago de Compostela in Galicia, a Spanish cathedral that is said to house the remains of the apostle Saint James. In an extremely sensitive release Spanish field recordist Edu Comelles has documented the first stage of this route in “Camino, parte primera”. Listening to “Camino, parte primera’s” church bells, country streams, Gregorian chants, and robust Spanish conversations it is easy to imagine ourselves into a distant past. It is here that its success lies, the majority of sounds captured by Comelles remaining true to the medieval period in which the pilgrimage began. Comelles desire to record the sounds along the way may have stemmed from his recent dissertation exploring walking compositions. In it he says the notion of walking is “a simple activity that in the Western Culture and through the years has been widely regarded as an act of discovery and also as an inspiring or meditational act”. By recording the soundmarks along the way Comelles allows us to partake in his discoveries, exposing us to the spirit of the surrounding countryside, its people, and the sincerity in which the walk is taken. In this context “Camino, parte primera” is a refreshing antidote to the cynicism that taints the 21st century. “Camino, parte primera” follows a linear path, its sequence of recordings corresponding with Comelles’ own trek. Beginning in Roncesvalles we hear bells ringing from an ancient Abbey; a signal that it is closing to the public. Further along we hear feet as they grind along a gravel path whilst the sound of sheep and animal bells ring alongside. From a cultural perspective one of the most interesting recordings is of the “carraca”, a wooden instrument with 20 hammers that is rattled during the Easter period; the regional law stating that no bells may ring during the Easter period. The religious context in which the carraca is played is cleverly emphasized by the next stage of the track where somber voices are heard singing part of the Easter mass. This recording sounds timeless, its tone resonating long after it finishes. At times the bucolic ambience presented in Comelles’ recordings may lull us into the false belief that the walk is without any physical challenge, however a few tracks remind the listener of the harsh elements of the pilgrimage. Strong winds are regularly heard buffeting the microphone, the accompanying photos in the release revealing exposed rainy plains that offer little relief from any discomfort. “Camino, parte primera” finishes with a recording inside the Logroño cathedral. Here an organist is overheard as he rehearses on the cathedral pipe-organ. Wrong notes are struck yet the musician’s perseverance manages to sustain a measure of stateliness throughout the piece. This track is a perfect place in which to end “Camino, parte primera”, Comelles’ notes stating, “tomorrow we take the train back to Valencia”. It is with great anticipation that we await the second part of this release. Camino, Parte Primera by Edu Comelles is licensed under a Creative Commons Reconocimiento-NoComercial-CompartirIgual 3.0 Unported License. Creado a partir de la obra en http://www.wanderingear.com/we018.html. Permissions beyond the scope of this license may be available athttp://www.audiotalaia.net.